The Visionary Founder of The Entrepreneur’s Source, Terry Powell, had this important article published in Forbes earlier in 2019. Given that FranchiseMatch.com is a tool that’s been established over the past decade by The Entrepreneur’s Source coaching network, we felt this story would speak to the thousand of visitors we receive each month. 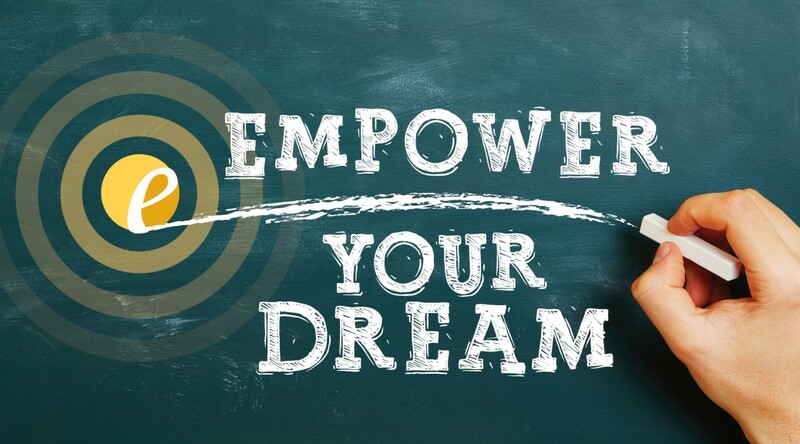 As you leverage Franchise Match to consider your opportunities, never forget these driving factors to take the first step from Employment to Empowerment! Not everybody wants to be their own boss. It’s a lot of responsibility, for starters. But for some people, it’s a yearning. It’s something they have to do because they’ve always had an entrepreneurial itch. I know, having met many of those people as the founder of an alternative career coaching franchise. I routinely work with men and women who want to call the shots. If that’s you, I can tell you, this is a great time to consider business ownership. Here’s why. 1. The economy is strong. There are good arguments for starting a company at any time, even during a downturn. But when the economy is humming, starting a business makes sense because it’s more likely that customers with discretionary income are going to be attracted to your business. 2. You have goals you need to fulfill. You probably have an idea of what you want your life to be like, and if your thoughts about your current job range from the mediocre to unhappy, then why prolong that? As I always tell the alternative career seekers who reach out to us, we all need to pursue our ideal income, lifestyle, wealth and equity goals. In other words, you want to achieve a certain income, so you can have the lifestyle you want, the wealth that will allow you to continue building on that lifestyle and the equity to maintain your lifestyle once you retire. You can’t do that if you’re stuck in a dead-end job, working for somebody else. 3. Society is open to new ideas, more than ever. You used to have fewer choices when it came to your fast food, such as burgers and chicken. Now there are vegan chains and even cereal bar restaurants. Who would have guessed that escape room franchises would be a thing? People want to have fun, and they want what they want, and more than ever, you can give it to them. Owning and running your own business is challenging and, in the beginning, can also be time-consuming. I don’t want to suggest that if you buy a franchise and become a business owner, you’ll never miss your kid’s soccer game. But at least if you do, you’re the one making that choice. That said, running your own business does give you far more flexibility than you have when you’re working for somebody else. If your goal is to coach your kid’s soccer team while running your own business, or to run your business and never miss important family milestones and events, you can do that. In fact, there are some franchises that you can run from your own home. 5. You want to pass your business down to your kids. That’s a big reason a lot of people start their own businesses (here’s more on how to know if it’s a smart decision). I coach clients going through career transitions, and believe it or not, just as with an independent mom-and-pop operation, you can pass on your franchise business to your kids — or your future kids, if you haven’t started a family yet. So investing in and running a franchise may be more than building a legacy and future for you; you may be creating one for your children and grandchildren. 6. You want to have a passive income. Not all businesses — certainly not all franchises — allow you to do that. In many cases, you need to be present. A lot of it depends on how much income you have now and who you hire as your staff. If you do want a business that pretty much runs itself, that can be the magic of an absentee franchise. You’re buying a business system that works, and as long as you have an extremely competent staff, including a general manager to run the place, you can be an effective absentee owner. 7. You don’t want to have lingering regrets. Think of the things you haven’t done in your life that you wish you had. Do you want “not going into business for myself” to also be one of your regrets? Especially when a national report showed that the franchise sector has been growing for eight straight years? 8. Putting off starting a business will cost you money. Yes, investing in a franchise is an expense and not a decision to take lightly. But putting money into starting a business is also an investment, and every year that you put off making that investment means that with every passing year, you’re making less money than you could be. 9. You’re not getting younger. None of us is. There are good arguments for holding off, like gaining more experience or saving more money. I’m not pushing anybody to do anything before they’re ready. At the same time, it would be a shame to wait another five or 10 years only to later wish you had started your business sooner. Besides, if you are nervous now, maybe in another five or 10 years, instead of feeling more prepared to run a business, you might have talked yourself out of it. Starting a business is a lot like having a baby. Nobody is fully prepared to become parents, and some people don’t believe in themselves enough to become business owners, even though they are fully capable and would be excellent at it. If you are ready to take your first step towards business ownership, Visit FranchiseMatch.com Today!